Vermont Sen. Bernie Sanders’s re-election campaign spent just under $300,000 on private jet use in October, Federal Election Commission (FEC) records show. “This expense was for transportation for the senator’s 9-day, 9-state tour to support Democratic candidates up and down the ballot ahead of Election Day,” campaign spokeswoman Arianna Jones told local website VtDigger.com, which first reported on the jet expenses. “This cost covered the entirety of the tour from Indiana, Michigan, Wisconsin, Iowa, South Carolina, Colorado, Nevada, Arizona, California, and back to Vermont,” Jones said. Climate change is the single greatest threat facing our planet. On Nov 6th, we must show up at the polls from coast to coast and stand with candidates who are willing and ready to accelerate our transition to clean energy, and finally put people before the profits of polluters. Because flying generates significantly more greenhouse gases than driving, climate hawks generally advocate against taking unnecessary flights. “The campaign purchased carbon offsets from NativeEnergy to support renewable energy projects and invest in carbon reduction projects to balance out the emissions produced on the trip,” Jones told The Daily Caller News Foundation. “Climate change is a planetary crisis. Our task is clear. 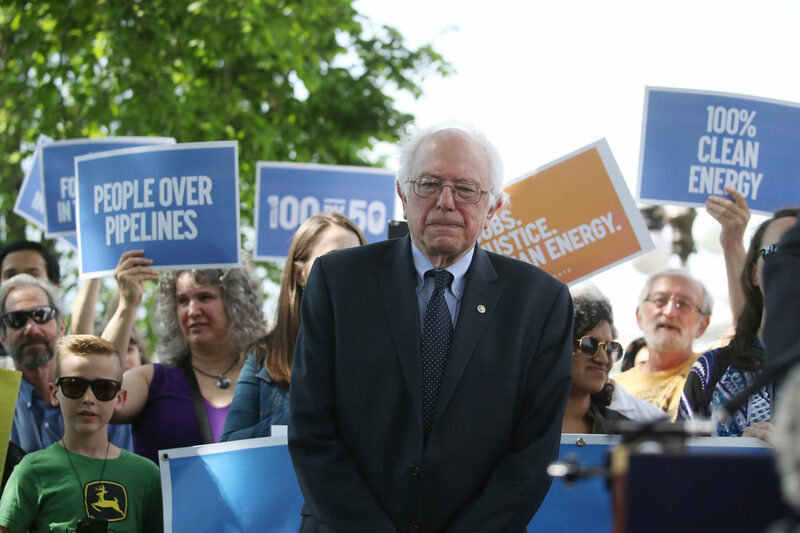 We must take on the fossil fuel industry that’s largely responsible for global emissions and accelerate our transition toward energy efficiency and sustainable energy sources,” Sanders wrote in an Oct. 10 tweet. Jones said the payment of $4,980 to NativeEnergy will be reflected in the campaign’s Dec. 6 filing, which covers activities after Oct. 17. Sanders, an independent who caucuses with Democrats in Congress, is widely expected to run for president as a Democrat in 2020.